 Tips for taking the "work" out of "working out"
Sixteen percent of children age 2 to 19 are obese. 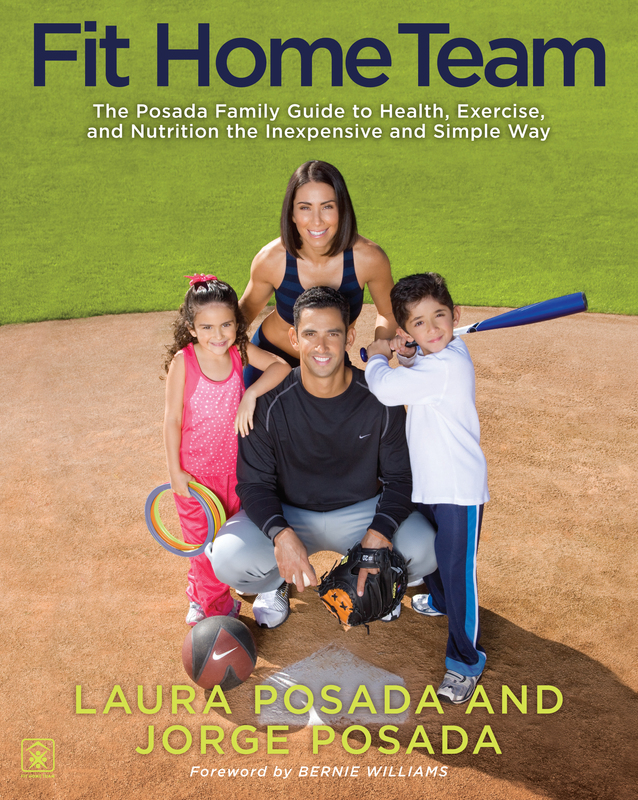 To help face down this tragic national health crisis, the Posadas bring together everything they have learned from sports and athletics, along with caring for their own family, giving parents a complete lesson in fitness, nutrition, and the power of family unity, all at the same time. Fit Home Team is a durable lifestyle change that helps families get fit and stay fit. Jorge Posada is an all-star catcher for the New York Yankees, a position he has held since 2000. Laura Posada is an attorney, a certified personal trainer, and CEO of Laura Posada, LLC. The couple lives with their two children, Jorge Luis and Paulina, in Florida.